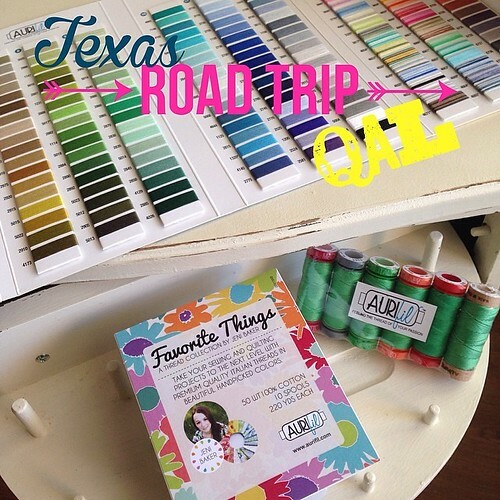 Welcome to the final stop on this amazing roadtrip through the great state of Texas! I was born and raised in Texas and have been to almost every one of these stops, so it was such a great experience to re-live my childhood roadtrips and learn new things about so many cities. I want to thank everyone that has participated from designing a block, to making a quilt, or just reading along! The last stop in our Roadtrip takes us down to South (very) Texas in a region known as the Rio Grande Valley (Harlingen, McAllen, Brownsville, Edinburg, South Padre Island and many more). I'm sure the name is obvious to most, but just in case, it's the very tip of texas where Mexico, Texas, and the Gulf of Mexico meet and a little river known as the Rio Grande provides a natural border. This area has historically thrived on it's large agribusiness (and still does) with one of the biggest crops being citrus. It wasn't until I met my husband, that I had ever had any interest in visiting this little part of Texas. See, he was born and raised in the Rio Grande Valley (aka The Valley). He's actually a farmers son and grandson. Now, I bet you are wondering what the heck is there to do in the Rio Grande Valley? Lots! Check out my list of favorite things to do when visiting! Once a month, downtown Harlingen hosts an open-air street market with lots of handmade items, antiques, produce, yummy food and live music. If you are in the market for some antique quilts, there are several vendors that sell some! You can find out more here, Jackson Street Trade Days. While you are visiting the nostalgic downtown area, be sure to check out these little gems! Oh, and how can I forget the amazing Mexican Food! Our favorite restaurants to grab some authentic Mexican food are: Las Vegas, La Playa, and Pepe's! I am always up for a trip to the zoo and even though the Gladys Porter Zoo isn't as large as most, it still has lots to boast about. My favorite parts about this zoo are the mature trees that create so much shade, the amazing and close encounter Gorilla exhibit, and the butterfly garden. 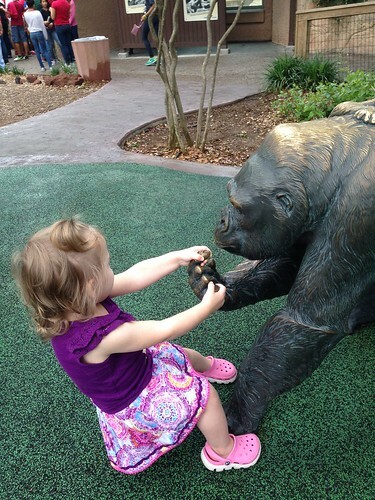 It is just the right size to spend a morning with little ones! When we visit the Rio Grande Valley, we enjoy heading over to McAllen for some shopping and eating. McAllen has almost all the big name stores and restaurants. In addition, McAllan has one of the largest bird watching facilities in Texas, Quinta Mazatlan, where you can step back in time and tour one of the last Adobe homes left standing and take a nice stroll on their trails looking at birds and the lush landscape. I have yet to visit Quinta Mazatlan, but hope to the next time we visit and the weather is a bit cooler. Aside from spending some relaxing time on the beach, South Padre has many other things to offer including deep sea fishing, parasailing, and horse back riding on the beach. At least once a year, my family stays "on the island" for a few nights and enjoy beach life. There are some yummy seafood restaurants that we enjoy eating at including, Blackbeard's and Black Jack's (our two favorites). If you are getting tired of the beach, you can spend the day at Schlitterbahn located right on the island. 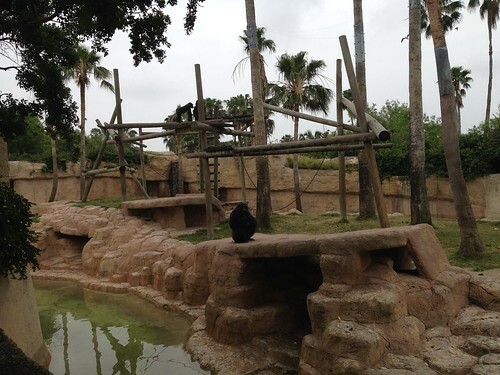 Then, when you get tired of the sun and water, take some time to enjoy the nature and wildlife that South Padre has to offer, including some more bird watching at the South Padre Island Birding and Nature Center and my personal favorite, the Sea Turtle, Inc. facility. Sea Turtle, Inc. is a sea turtle rehabilitation and conservation facility located on the island. Their mission is " to rescue, rehabilitate, and release injured sea turtles, educate the public, and assist with conservation efforts for all marine turtle species." We truly enjoy visiting Sea Turtle, Inc, and viewing all the rehabilitating turtles, but they have definitely outgrown their facility. They are currently planning for a much larger facility and if you like to learn more or even donate to this wonderful organization, you can check that out here. Oh, and if you are lucky enough to be on the island during hatching season, you can witness this phenomenal experience! I recommend following their Facebook page, Sea Turtle, Inc., to get the most current hatchling details. So, without further ado, I decided to make my block for the Rio Grande Valley representative of the Kemp's Ridley sea turtle. You can download the foundation paper piecing pattern here. 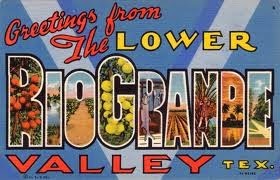 I hope you enjoyed your virtual visit to the Rio Grande Valley! 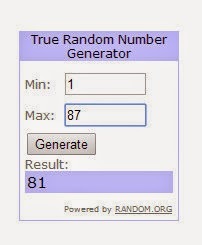 Giveaway Closed! Now it's time to win some thread! Just simply comment with your favorite beach to visit! If you would like a second entry, just let me know that you follow me (via email, bloglovin, Instagram, etc.)! I'll pick a winner on Thursday! Have a great week and check back soon to find out all the details on the final link up party and giveaways! 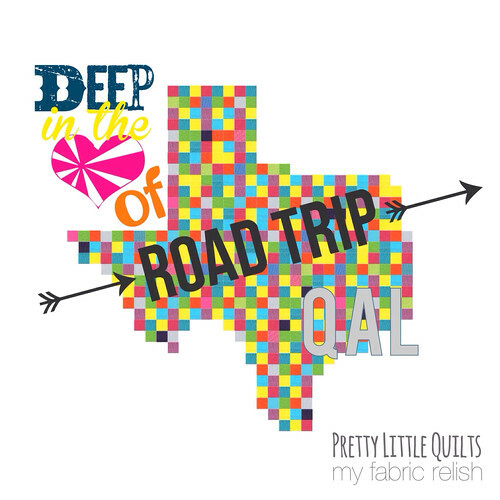 8/1/14 Update: Winner of the thread is: Texas Quilting Gal - Congrats! I've sent you an email! Hollywood, Florida is my favorite local beach, love biking on the broadwalk. I live in Greece now and we have to many beaches to call just one a favorite, but I do love the beaches in San Diego too! I have only been to one beach...Daytona Beach. Love your sea turtle. I have been to many beaches but my favorite will always be Pensacola Beach in Florida. HI, love St. Augustine, Fl. Beaches! I'm not a big beach person, but the beaches in Hawaii are some of the nicest I've seen. 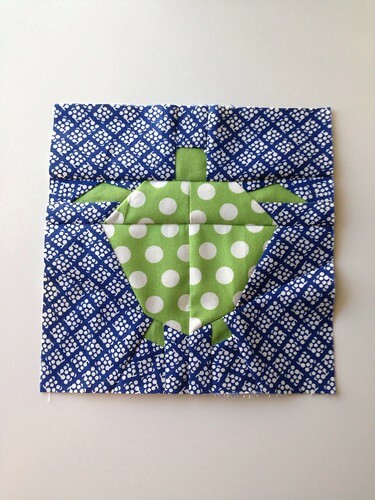 Love your sea turtle block! I'm not really a beach person, but my favorite beach to visit is the one at Aransas Pass. My favorite beach to visit is my own! I live in a small summer village on a lake, and I love it! Thanks! I love the cute turtle block! Thanks so much for sharing. My granddaughter loves turtles, so I definitely want to incorporate it into something for her. Living in the Midwest, I don't get to many beaches, but I did visit Padre Island many years ago, and I loved it! So that would be my favorite! I really enjoy Fernandina beach in FL as it is near my parents! I really like to head to the Western coast of Michigan and go to the Sleeping Bear Dunes on Lake Michigan. Not exotic or tropical but so lovely and super family friendly! I follow with bloglovin. Thanks for a fun road trip through Texas. Longbeach in Washington. Last time I was there I went for an early morning walk and I got to see sun make the frosted sand glisten. my fave beach is galveston, it isn't all that pretty but is was born on galveston island and lived there until i was 5 so it is stil home. lots of sweet memories. My mom is from the Valley and I always loved going down to Padre Island when we would go visit relatives. The block is super cute! I live in Oregon where the ENTIRE coast is free and open to everyone - only state in the union like this. So any of our beaches are my favorite. But I usually go to Manhattan Wayside in Tillamook county ( the famous cheese county!) Oregon. I just found you blog so now I follow by email. I lived in Texas when I was very young for about seven years, in both Lubbock and Amarillo. Now I live in Oregon. My favourite beach is Hyams beach on the south coast of NSW - whitest sand in the world! My favorite beach is North Litchfield Beach in South Carolina. Love the lowcountry feel! ...and I followed up to follow you by email! thanks for the chance to win! I haven't traveled to many beaches - I'm a lake person. My favorite is any beach at Lake Wilson in Kansas. I follow via feedly & IG. I have been to the beach in Rockport, TX. I have a friend who lives there and it is the only time I have been in that area. We are not much of beach goers, more of the play in the creek type people - LOL Although I have a friend who taught me how to go boogey boarding in San Diego at the beach, that was fun! I love to swim, but my skin doesn't like the sun so I stay away from beaches. I do love to enjoy looking the I ocean while I'm safe in the shade. I enjoyed looking at the beaches in Bermuda the most. When I had children at home it was Ocean City,MD. Love the Boardwalk. I love the beach on the Oregon Coast near Depoe Bay. For me, it's been the beach at Catalina Island, love that place! Your block is so cute! I love Grand Beach in Traverse City Michigan! thanks! I'm a proud and old Bloglovin' follower! Hmm, well I grew up on a beach and so I guess since my family still lives there, I'd say that ones my favorite :) Lauderdale in Tasmania Australia :). Great post! I enjoy Galveston due to its proximity. Not the most beautiful, but a great place to spend a weekend. Bloglovin follower right here! And my favorite beach is Blind Pass in Sanibel Island, Florida. It's great for shelling. I am from Surfside Texas its always great to go HOME. I love Cannon Beach, Oregon. Beautiful, sandy beaches to walk and find shells. I used to live in St. Petersburg, FL and one of the only things I miss was going to Ft. Desoto beach - a nice peaceful gulf beach that the tourists didn't know about! My favorite beach to visit is in beautiful Morro Bay California. It is just inside the jetty and has light waves and it perfect for a person to just walk, play, look for tide pools, and even learn to surf!. I'm not a huge beach fan, but the prettiest one I've been to so far is south beach, Miami. I follow via bloglovin. P.s. this Turtle is sooooo stinkin cute! I live in No. Carolina and my favorite beach is Myrtle Beach....we try to visit at least once a year. I grew up in New England and Maine has some very beautiful beaches too. Thank you! Thank you for the sea turtle pattern! I am a Bloglovin follower! My favorite beach is in the very southern part of Norway, Sjøsanden in a town called Mandal. I love the beach at Half Moon Cay..